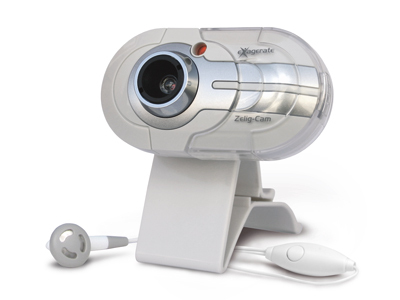 Zelig-Cam is a real easy-to-install USB webcam. Besides recording video and voice on your computer, Zelig-Cam is able to transmit videos and voice over Internet using the most popular Internet software such as MSN, ICQ, Yahoo Net Meeting to transmit video and voice via Internet. Light and easy to place on your CRT monitor or on your LCD display using the special "clip" bundled.